A Breakfast Club is available every day from 8am. Children arriving between 7.50 and 8.50 will be provided with breakfast and costs £3.50 per session. Children arriving after 8:30 will be charged £1.50 per session. No pre-booking is necessary. Our out of school care is provided by Treetops After School Club and Treetops Holiday Club, in the neighbouring village of Bridestowe. 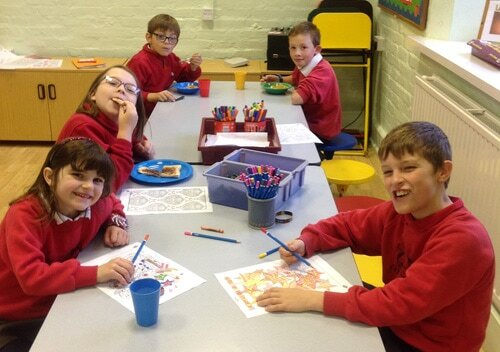 Children can be collected from Lydford School by arrangement with Treetops After School Club.